Galveston Uncontested Divorce Attorney | The Enos Law Firm, P.C. An agreed or uncontested divorce saves a lot of stress, time, and money for both spouses. A divorce is considered “uncontested” if both agree on property division and child custody and support issues (if there are children involved). At the Enos Law Firm, our divorce attorneys and legal staff help you keep the legal expenses of your uncontested divorce to a minimum while assuring that all the legal requirements have been met. When you have questions about uncontested divorces or any family law issues, contact uncontested divorce attorney Greg Enos at the Enos Law Firm, P.C. If the case is uncontested, do both sides hire a lawyer? How is an uncontested divorce handled? What is the divorce decree? What happens at court when an uncontested divorce is presented? If the husband and wife agree on a divorce settlement and there is nothing to fight over, the case is uncontested. In uncontested cases, usually only one of the spouses hires an attorney to prepare the necessary paperwork. A lawyer can never represent both sides in a divorce. If, for example, the husband hires a lawyer in an uncontested divorce, that lawyer will prepare and file the divorce petition, and draft the waiver of citation and divorce decree. The lawyer will also go to court with the husband to get the divorce approved by the judge. The wife in this example only needs to read and sign the waiver and the final decree. She may call the husband’s lawyer to ask questions, but she must always bear in mind that the lawyer does not work for her. The wife may want to consult an attorney to make sure the divorce decree is fair to her and truly reflects the settlement the parties have reached. Once the divorce petition has been filed and the waiver of citation signed, a final divorce decree is prepared and signed by both sides. There is a 60-day waiting period for divorces in Texas, meaning that a divorce cannot be granted until 60 days after a divorce petition is filed. The final step is for the husband or wife and a lawyer to go to court to get the judge to approve the divorce and sign the decree. In the usual lawsuit, one party files and the other gets served with the suit by a constable or process server. In an uncontested divorce (where saving money is important), the divorce petition is simply mailed to the other spouse along with a waiver of citation. The husband or wife who signs the waiver is merely acknowledging that he or she has received the divorce petition and does not need to be officially served. The waiver also allows the final divorce hearing to be held without that person being present and says a court reporter does not need to record what is said. This language scares some people, but it is routine. If the case is truly uncontested, a person who gets such a waiver should sign it as long as he or she gets to approve and sign the final divorce decree. The divorce petition is the first document filed in a divorce because it starts the divorce lawsuit. The decree is usually the last document in a divorce. The divorce decree is the official document signed by the judge. The decree divorces the parties, orders how property and debts are divided, and provides for child custody, visitation, support, etc. Is there a signed waiver of citation? Is there a signed divorce decree? Is there no hope of reconciliation? Are there children? Is the wife pregnant? Are you asking the court for a divorce? 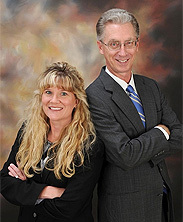 If you need an experienced Galveston uncontested divorce attorney call The Enos Law Firm, PC.